Reel Time Outfitters offers fishing in the Gulf of Mexico. We do inshore fishing. The species we catch are redfish to trout even sharks. Your always in for a fight when you hook a fish. 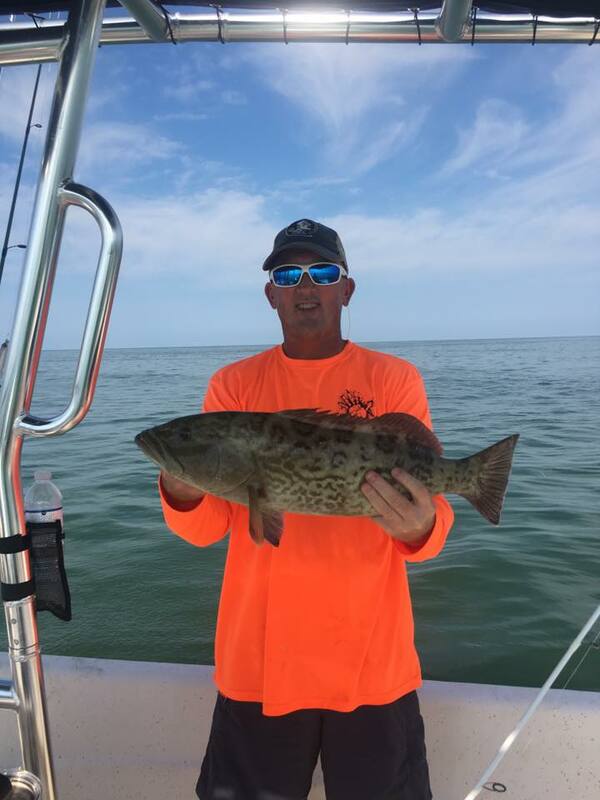 * Inshore Fishing Trip - $350 for 1/2 day charter (5 hours) (including up to 2 people). Extra person add $50. * Inshore Fishing Trip - $450 for whole day charter (8 hours) (up to 2 people). Extra person add $50. * We also offer a mix day of scalloping (in season) and fishing for $450 whole day. Total number of anglers per trip is 2 persons. Scallop season runs July to September. The natives call scalloping adult Easter egg hunting. When the sun hits those little bluish eyes in the shell, you know you have found what your looking for. If we have a party over 6, we use multiple boats to take the parties out. Reel Time Outfitters offers several types of hunts. Its free chasing on public land. These birds are 100% true Osceola turkeys. I supply the decoys & calls. $150 per person. Minimum 2 hunters per hunt. 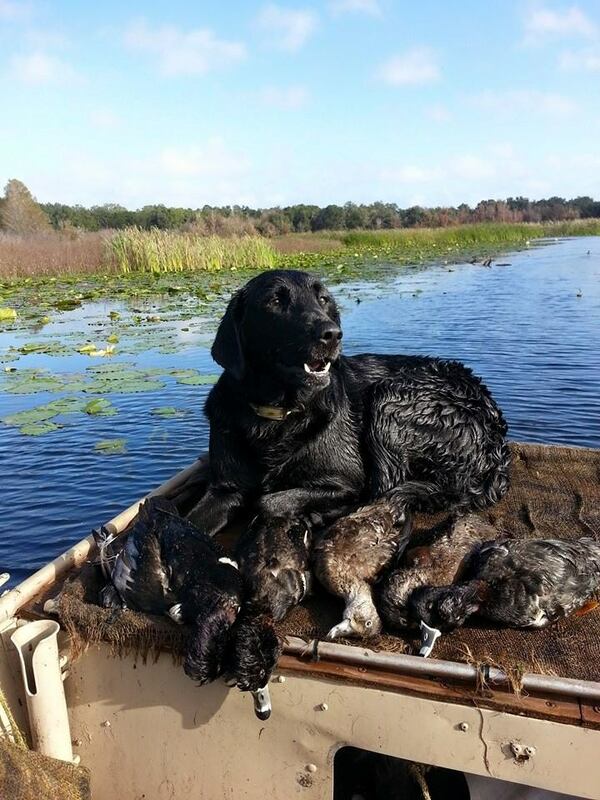 We hunt lakes & the Gulf of Mexico. I supply the gas, boat & decoys. If a person draws a gator permit, then its $800 per person for using captain's supplies and boat. I supply the Boat, Gas & Tools for catching gators. Reel Time Outfitters is now offering River cruises/ECO-tours. These tours will start at 8am or 11:30am (7 days a week). They are 3 hour long tours around the Crystal River area. 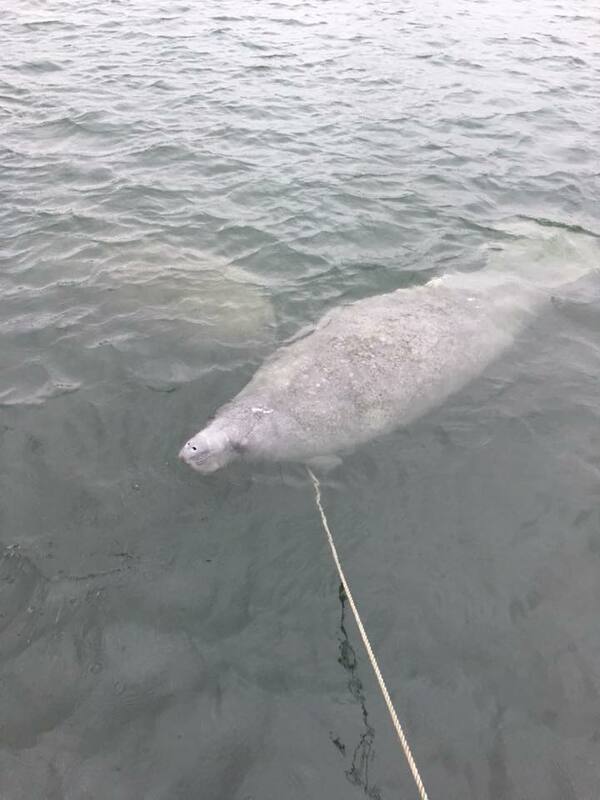 You can expect to see manatees and other wildlife. Capt. Leon Hampton was born and raised in Florida. If he isn't on the water, he is in the woods. 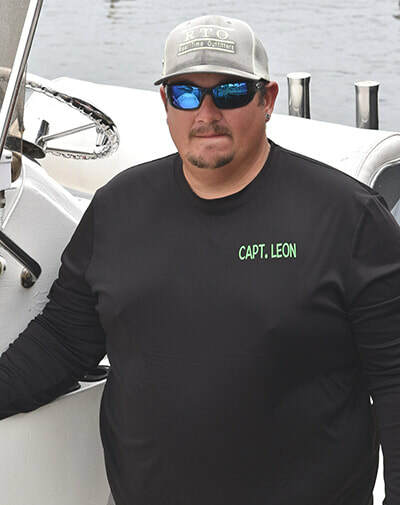 After spending years on the water he decided he wanted to become a captain. In 2014, Capt. Leon took that road on becoming a fishing guide. He is so passionate about what he does. His main goal is to introduce people to his world and teach them all the things he knows. Capt. Leon is very knowledgeable of his surroundings. There are two things that makes his trip even more special to him - Veterans and children. He is a firm believer in getting children outside and showing them what nature has to offer. As for Veterans, he feels giving back to them is what they need after they have given a lot for our country. Capt. Leo Hampton started his love for fishing at a young age. Being the father of Capt. Leon, he passed down his knowledge to his son. 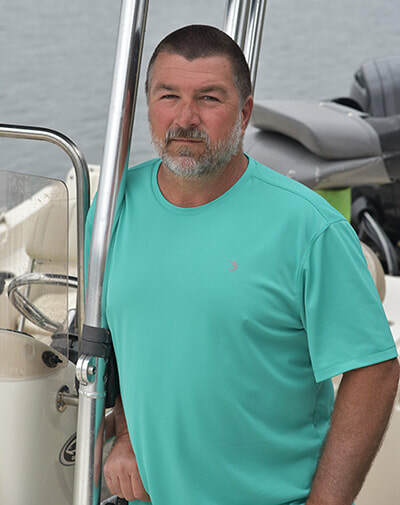 He decided to take the road of being a fishing guide in 2018 after an injury he sustained in 2017. With working at his first job for over 30 years, it was time to retire due to the injury and relax while fishing. What better way to spend a day on the water making new friends and have memories made for our clients.